This fantastic family home will surprise you with all it has to offer. Located in a sought after, quiet cul-de-sac high in Banora Point, the property is an exceptional opportunity for a young family or those people looking to downsize. The home is beautifully presented and features two separate living areas, three bedrooms, two bathrooms and a double lock up garage. 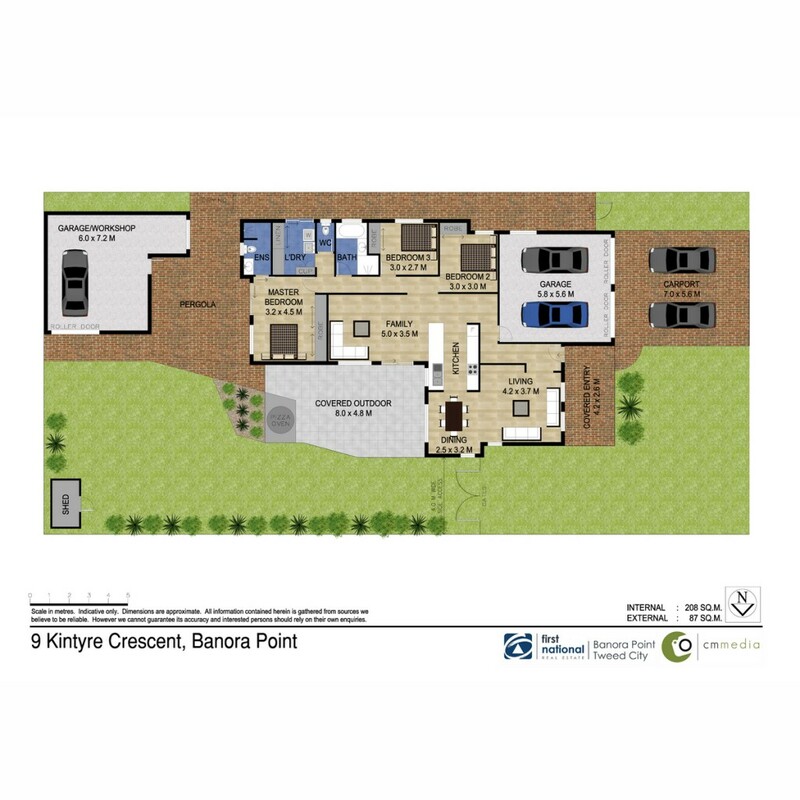 In addition to this there is a double carport out the front and also a freestanding garage in the back yard, which is easily accessed through the double gates at the side of the property. This rear garage is perfect storage for all the toys or for someone looking for that home workshop. Entertaining is a breeze with a choice of the covered outdoor entertaining area, complete with a pizza oven or the shaded pergola area. * All inspections are by appointment only, please call Roz for more information or to arrange an inspection.